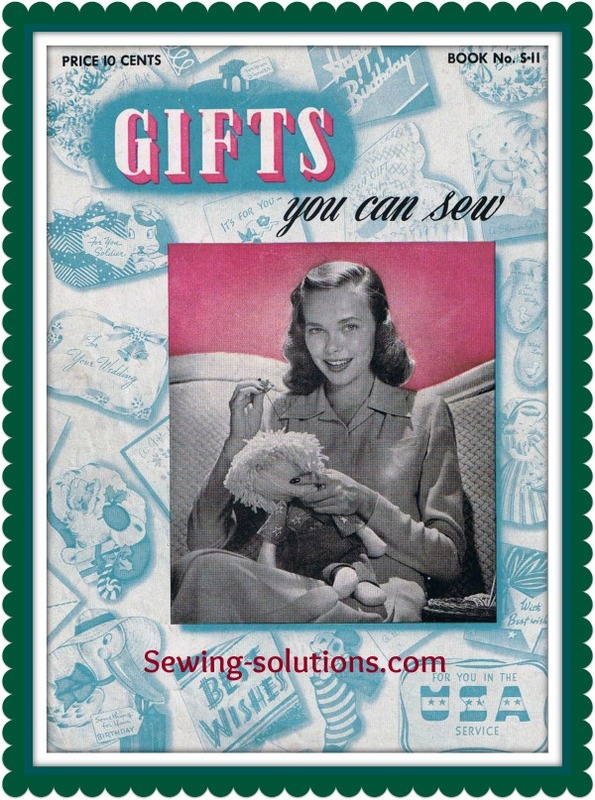 Sew a gift with this ebook for just about any occasion. 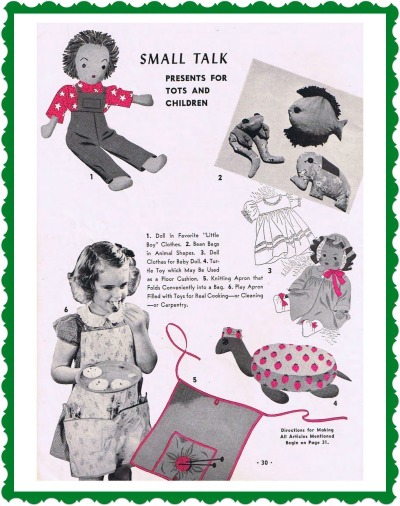 "Gifts You Can Sew" is a great little ebook. 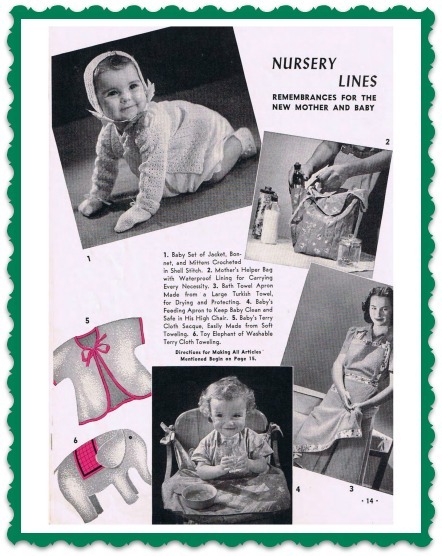 Here you will find directions for sewing 71 unique gifts you can make yourself at one tenth the cost and ten time more meaningful. 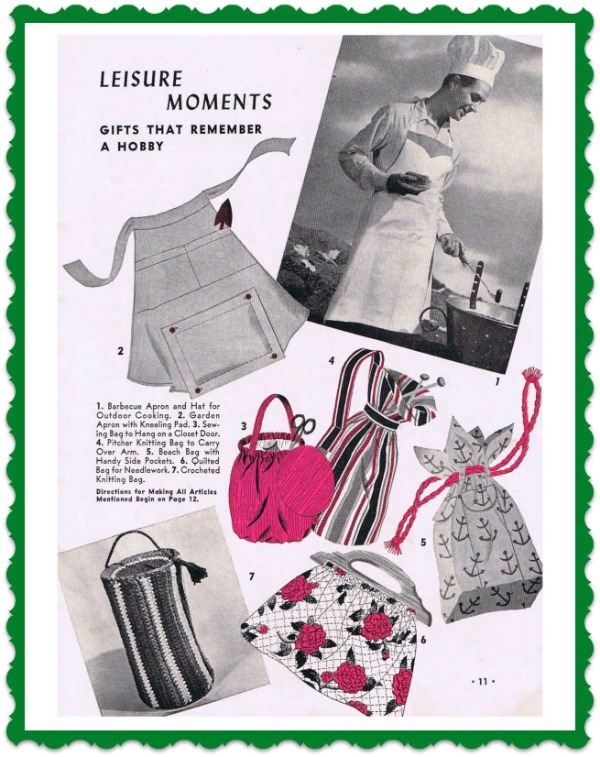 Yes it is vintage but they are perfec for converting into wonderful gifts for today. Look at the Powder Mitt #1 above, for example. Many don't use a powder mitt today as talcum powder gets such a bad rap. I have no opinion on that one way or another. Just make it a bath mitt. But than there are many that still do use it. So this would be great for them. Also I think this is a really neat idea for a bath mitt. Many older folks with arthritis in their hands would find this a wonderful gift. Use it and throw it in the washer and use it again. Not a disposable you have to buy over and over again. Make one for grandma and one for grandpa. Can be made for either a woman, child or man. Make them up in her or his favorite color fabric. The Heart Sachet #3, is a wonderful gift for sweet smelling drawers. 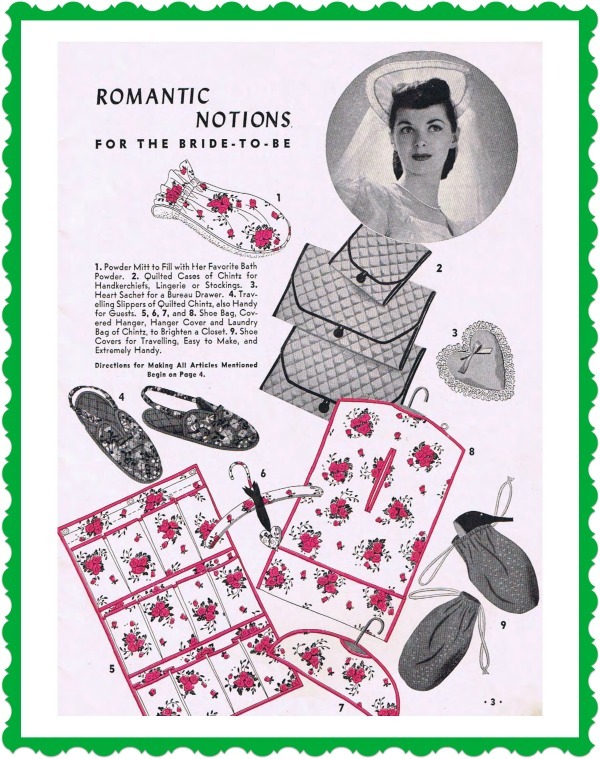 And the Quilted Slippers #4 are still used today. Covered Hanger #6 & 7 are still a welcomed gift, especially with today's slippery fabrics. Just had a request for this pattern, not long ago. Bag #2 can be converted to a craft bag. Many stuffed toys babies still love. Than there are place mats and napkins that would make very nice wedding gifts. Also lets remember the charities. Many are looking for toys for children that have lost everything, those living in poverty who never had a toy of their own. Children taken by Welfare, they need something that is theirs alone in such upsetting times. These gifts are from the heart not from a store shelf. These are thoughtful loving gifts that are a joy to give. 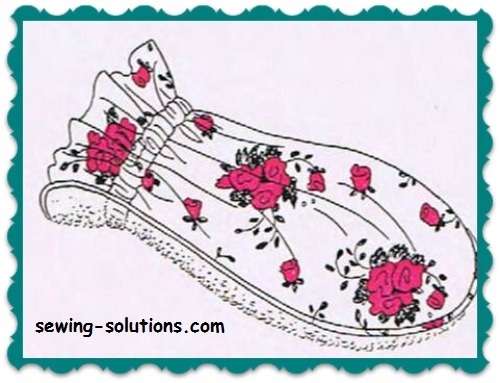 This ebook is full of wonderful ideas and patterns for Mothers Day, Christmas, Fathers Day, Birthdays, or any special event. This is an ebook. You can have it instantly, no waiting.